School fees are made up of tuition fees which are set by Cairns Catholic Education and levies which vary from school to school and may include items such as a Building Levy, Subject Levies and General Purpose Levy. Schools strive to keep fees as low as possible, in fact some parents are surprised at how affordable they are in comparison to independent/private schools, Catholic schools in southern capitals, and even kindy and day care fees. Family discounts apply for families with more than one child attending Catholic schools in the Diocese of Cairns. Some of the Diocese’s primary schools and secondary colleges attract a further discount because of their rural location and/or having limited access to a Catholic secondary college. In addition to the family and country school discounts, Cairns Catholic Education offers a means-tested concession card discount. Parents/carers with a current means-tested Australian government health care or pensioner concession card will receive a 70% discount to tuition fees (does not apply to school levies). Card holders are required to advise the school of their concession card at enrolment or when the card is gained. Once the card is sighted by the school’s administration, tuition fees for future terms only will be adjusted. This scheme is intended to assist those families who genuinely do not have the financial capacity to pay tuition fees in full. Families who are experiencing genuine financial difficulty but do not hold a concession card are encouraged to make a request to the principal for special consideration. This request will be treated with understanding, sensitivity and confidentiality. It is the experience of our schools that families who are struggling financially are faithful in paying a contribution to their local school to whatever extent they can afford. 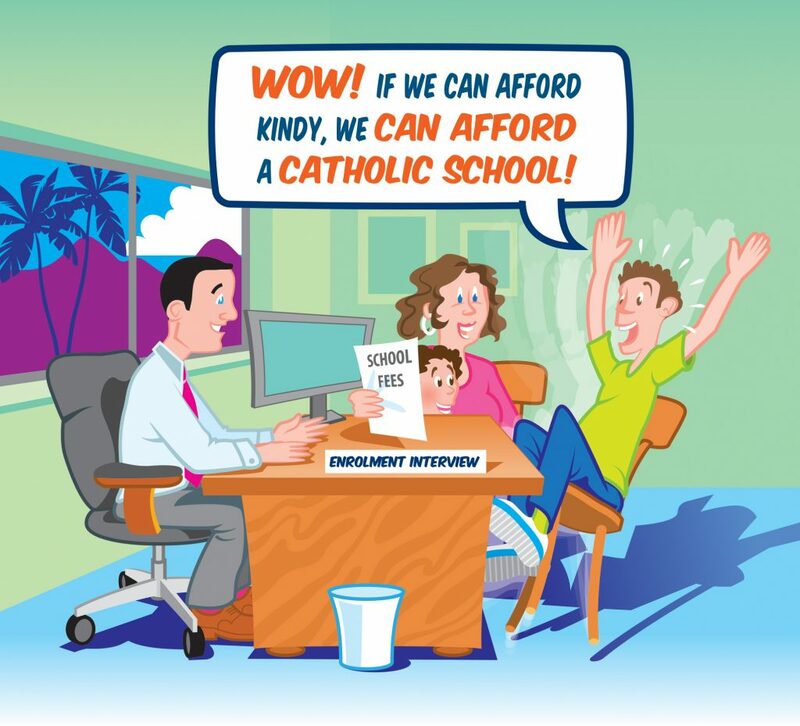 It is the expectation that families with the capacity to contribute, do so, so that as near to possible to full realisation of this income source can be achieved and Catholic schools can maintain their outreaching focus to the poor and marginalised. Think you can’t afford a Catholic school for your child? Think again.